In a previous issue in these columns it was brought out how seriously the US is tackling the menace of drones, having contending with their onslaughts in the fight with the Islamic State. The US had to rush dozens of technical specialists to Iraq, Syria and Afghanistan to help protect American troops and to train and, in some cases, equip local allies against the drone threat from the Islamic State, which had killed more than a dozen Iraqi soldiers and wounded more than 50. The growing ISIS drone threat led the US to launch a $700 million crash program in September 2017 to draw on the collective know-how and resources of all branches of the armed services, Silicon Valley and defense industry giants like Boeing and Raytheon to devise tactics and technology to thwart the menace. Earlier this year, nearly a dozen military contractors (including Boeing and BAE Systems, as well as much smaller specialty technology companies) participated in a five-day competition (that extended longer for some firms) armed with laser guns, high-tech nets and other experimental systems met on the White Sands Missile Range in New Mexico to tackle the problem of how to combat the increasingly lethal fleet of drones of the ISIS. Though the results were kept secret, a “fly-swatter approach” was reportedly tried out, wherein contestants had to destroy or disable 30 drones flying more than 250 yards away. A total of 10 systems competed, including four high-energy laser weapons and an attack drone that carried a big net to capture hostile drones. Now the Russian Army has established a specialized ground-based unit for defeating enemy drones. 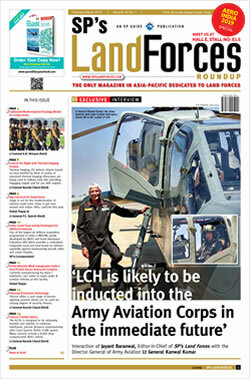 Manned by servicemen on contract, sergeants and specialists, this unit is equipped with electronic jamming systems that can severe the radio link between the drone and the operator. In effect, these are special operations forces for electronic warfare. It may be recalled that in 2011, Iran had successfully captured the US Air Force (USAF) RQ-170 stealth drone intact, which was quickly copied by Iran through reverse engineering to produce an indigenous version within one year. Iran had claimed they disrupted the radio signal between US satellites and the RQ-171, then beamed their own command to the drone instructing it to land on Iranian soil. 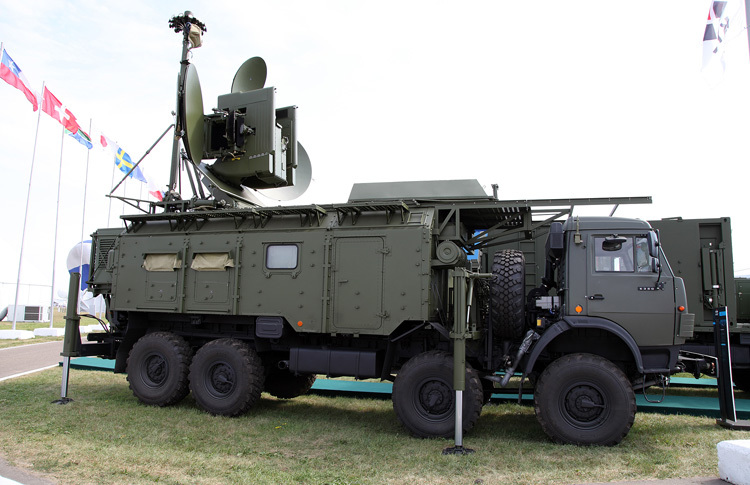 The new electronic warfare special operations unit established by Russia is equipped with 'Karushka' jammers, powerful radio emitters hosted on heavy duty trucks. The jammer can disrupt enemy signals, potentially preventing ground-based controllers from steering drones via satellite. The Russian 'Karushka' is more advanced than the Iranian 'Avatobaza' that was used by Iran to capture the RQ-171 in 2011. Incidentally, the Avatobaza was not indigenous; Iran had bought the Avatobaza from Russia. The 'detection' range of the Avatobaza is reported to be around 149 km, but the 'effective' range would be less. Since, where the drones appear can hardly be depicted, the requirement would be of multiple electronic warfare platforms to provide an 'electronic dome', numbers of the platforms being dependent on the area to be protected. Post the cancellation of the MQ-X program in the US, the thinking is veering towards future development of drones that would be driven by 'data'; thinking 'from' data and decide - is it even collecting the right quantum of data or is there need to have different sensors on the platforms? As for developments in countering drones, Raytheon, a US firm, has successfully tested new proximity fuzes for Stinger missiles against drones; allowing the effectors to either take out the drone directly or explode close to the drone to knock it out. other interim objective solutions include other effectors like the AIM-9X Sidewinder and its Accelerated Improved Interceptor Initiative (AI3). interestingly, a Norwegian company 'Nammo' has developed 'programmable ammunition' (bursting with pinpoint accuracy), which can be fired from any large gun without altering the gun itself, to defeat drones. These developments should be of great interest to India. Interestingly, the 'programmable ammunition' by Nammo can be adapted to 40mm grenade launchers, 30mm guns, 120mm tank ammunition and M72 rockets. As mentioned, no alteration to the gun is required; the distance to the target is entered into the programming unit either manually or through an automated range finder - the shell receiving instructions just as it leaves the barrel. While China is showing increased aggressiveness, it is interesting to note that it is forcing every PLA soldier to pledge "absolute loyalty" to President Xi Jinping. Though the PLA has no battle experience after China invaded Vietnam in 1979, Jinping may be having doubts about his soldiers who are products of single-child family. Notwithstanding this, China's hybrid warfare includes prominent role for non-contact operations. This is where the drones come in large numbers, backed by China's enormous industry in this field. India needs to upgrade the drone threat to the highest level, including their use by terrorist and proxy forces, and put countermeasures in place.